Work in international team of developers and UI/UX designers to design and develop new features for Events part of XING business network. Participated in development of such features as notifications, compressed sticky header and some emails. Merged several pull requests into inner XING-wide Ruby gems. Collaborated with teams of developers dedicated to other XING parts. Made a contribution to exploration of new technologies which could improve user experience (React, Redux, Websockets). Agile role-based authorization system Last 5 months successfully worked remotely from home. Participated in Google Summer of Code with GnuplotRB project (plotting tool for Ruby users based on Gnuplot). Developed GnuplotRB gem in 3 month. Worked in close collaboration with intenational team of scientists of Sciruby organization. Worked on automation of testing desktop applications with SikuliX and Cucumber. Improved SikuliX Ruby gem to use most modern SikuliX features such as VNC support for remote testing. Shortened the release cycle by reducing time and working hours spent on regression testing of software. 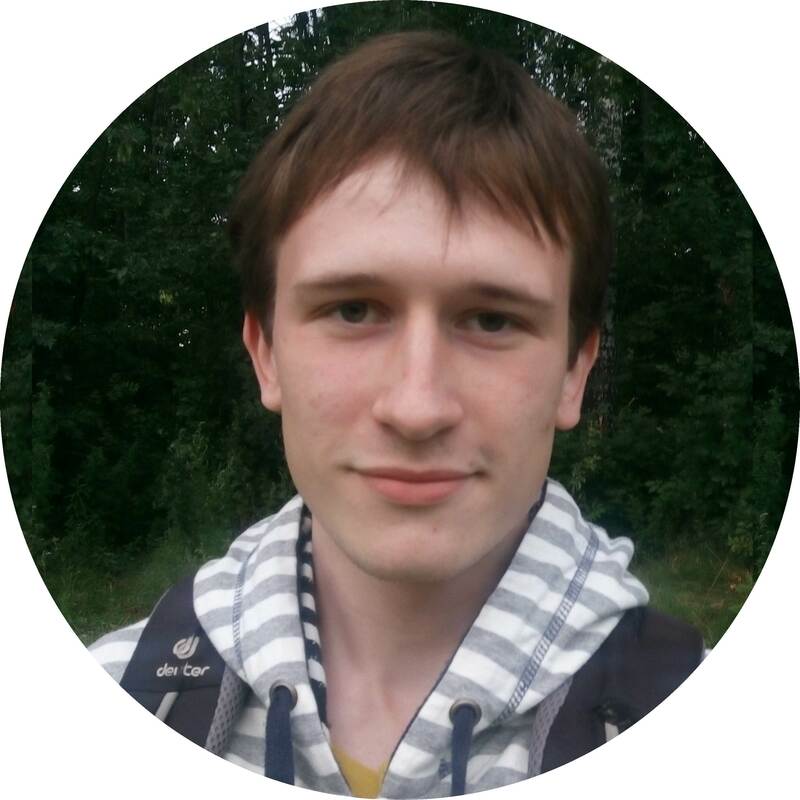 I studied in Bauman Moscow State Technical University and have got bachelor’s degree in Computer Systems and Networks in 2015. Higher mathematics courses such as Discrete mathematics, Automata theory, Linear algebra, Mathematical logic and so on. Algorithms and data structures (Standford course on Coursera). Plagiarism detection tool consisting of SOAP service written on C++ and frontend (modified Moodle crot plugin and standalone Rails app). Participating in development of Sikulix gem for Ruby and some research in using it together with RSpec and Cucumber in order to test UI of desktop applications. This article is based on that research. Graduation project that related to building Continuous Deployment system based on Open Source products.